The AM aircraft band at 118 to 136 MHz is used in this converter design as an IF output. The second harmonic of the 55-MHz crystal (110 MHz) mixes with the shortwave input of 8 to 36 MHz. An NE602 1C is used for the mixer. Sensitivity is about 3 micV. 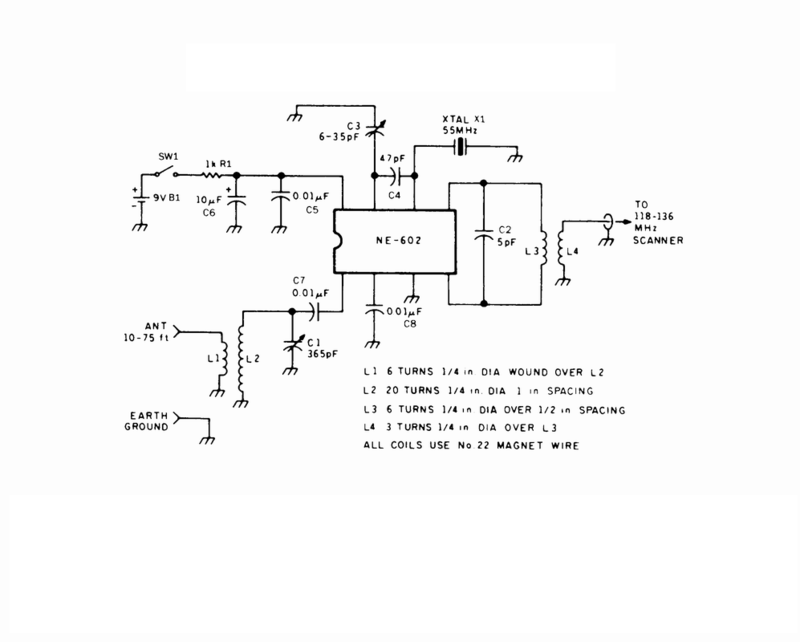 If desired, a crystal tuning circuit for fine tuning can be obtained using a varact or.